OPEC says it can keep markets stable should crude demand increase. Wednesday's news of increasing output on multiple fronts, which in turn helped trigger a massive downturn in crude prices, was accompanied by the Organization of the Petroleum Exporting Countries (OPEC) stating that a return of surplus - which the analytical community insisted was inconceivable - will occur in the foreseeable future. In its latest monthly report, the cartel said that "Following the robust growth seen this year, oil market developments are expected to slightly moderate in 2019, with the world economy and global oil demand forecasts to grow slightly less." 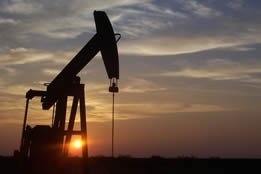 OPEC expects world oil demand to grow by 1.45 million barrels per day (bpd), down from 1.65 million bpd in 2018, and it calculated that the world would need 32.18 million bpd of crude from its 15 members next year, down 760,000 bpd from this year. The decrease in demand growth will presumably mean less strain on countries like Saudi Arabia and Russia to make up from supply losses from Venezuela, although only analysts and the media - not and the two nations - have characterized turning the taps on fuller as an effort. Meanwhile, OPEC's June output is 150,000 bpd more than the cartel forecasts the demand for its oil to average next year, suggesting a small surplus in the market should OPEC maintain status quo; as for which countries will contribute the most to 2019's supply growth, the U.S. will lead the charge, with Brazil and Canada contributing. OPEC even seems to have all bases covered in case its predictions of less demand come true: it stated, "If the world economy performs better than expected, leading to higher growth in crude oil demand, OPEC will continue to have sufficient supply to support oil market stability." But even though Wednesday's dramatic price losses for crude are something U.S. president Donald Trump was aiming for in order to give Americans a break at the pump, OPEC's boss prefers a more stable market. Suhail Al-Mazrouei, president of OPEC, on Wednesday told Reuters on the sidelines of a Canada-United Arab Emirates business council event in Calgary, "Fluctuation is not good and we do not like to see lots of fluctuation in the prices"; however, he conceded that the current geopolitical environment drives price volatility. Earlier this week, Al-Mazrouei told the world press that his organization was not to blame for the higher oil prices so famously criticized by Trump: "At the same time we were responsive in terms of the measures we took in our latest meeting in June" - a reference to boosting production, which seem to be paying off.